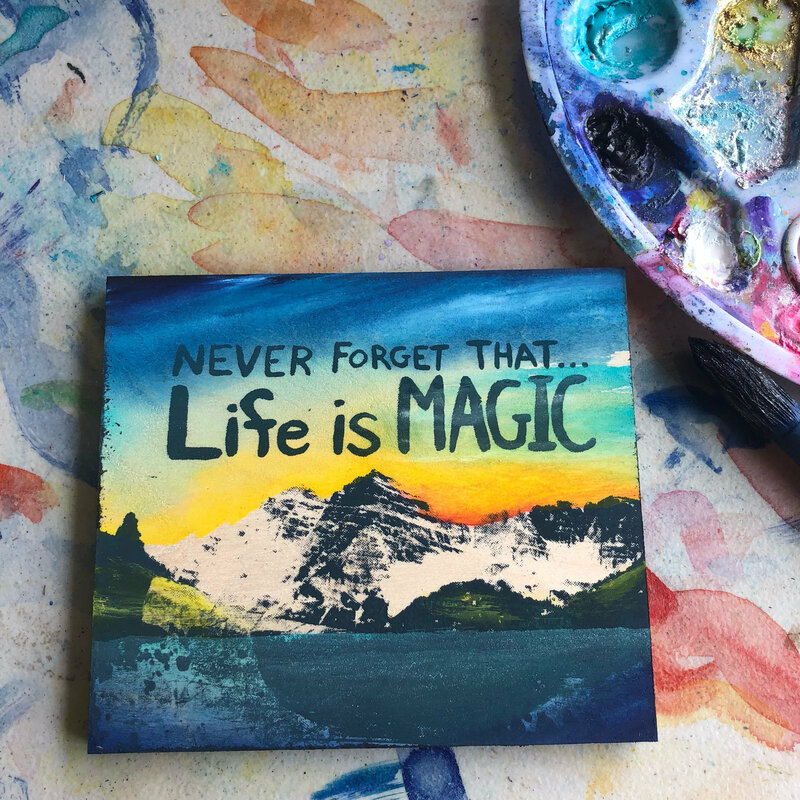 Never forget that life is magic. It's hard to think of anything else when witnessing the Maroon Bells. 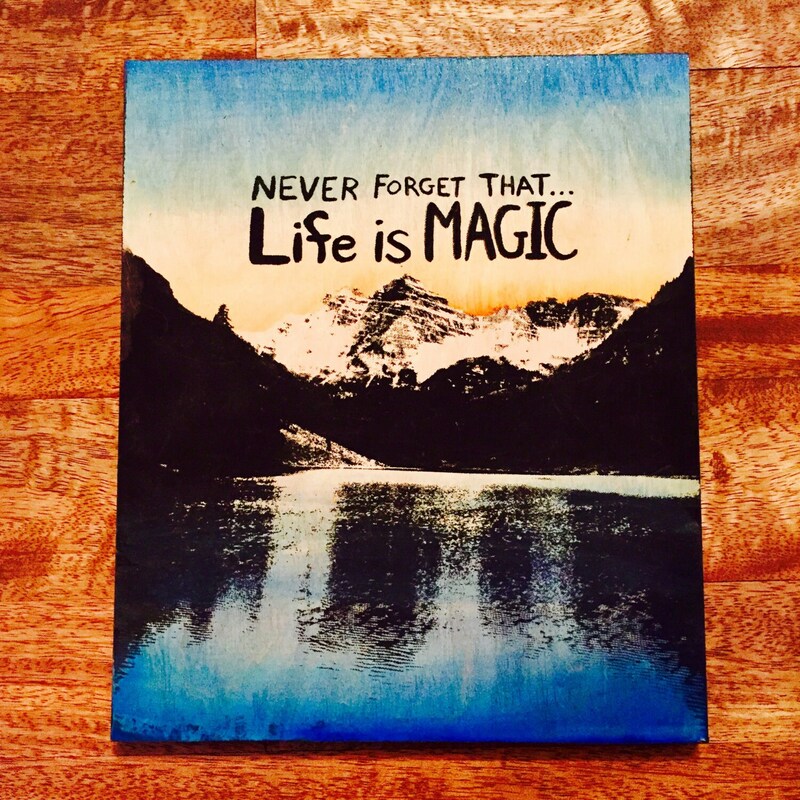 And with this little reminder, you'll always remember that mantra, until your next visit to Aspen, Colorado. Acrylic paint and ink on wood. Comes ready to hang, with its own wall mount already installed. Slight color and size variations may occur because each piece is made individually by hand. If you have any specific preferences or uncertainties, please inform us when ordering. We'll do our best to honor your wishes before shipping.